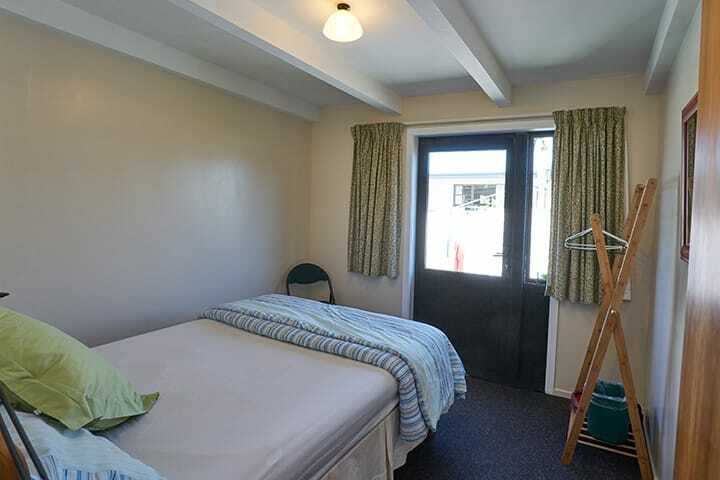 This room is situated right in the centre of the house; it has its own door to the immaculately manicured garden, and offers great views of the Kepler Mountains. It also faces west, meaning you get to witness the amazing Fiordland sunsets. The double sized bed and its bedside tables, take up most of this neat room, yet leaves a nice cubby hole behind the door with extra blankets if you need them. There’s also room for a child if needed, though we would appreciate prior notice. Notes: Direct access to garden. Mountain views.